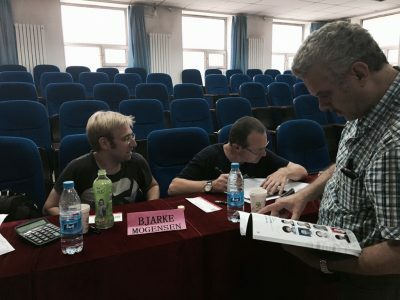 Jury member at the International Accordion Competition in Harbin China. 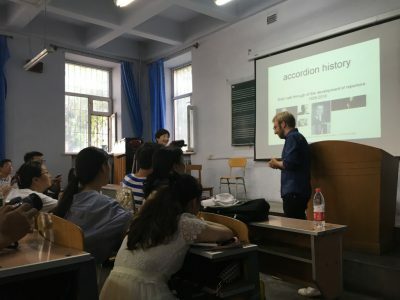 I had the pleasure of giving a lecture at the university of Harbin in Danish accordion tradition and present a couple of of my newest commissions of composers from Europe ending with a demonstration of my quartertonal accordion-part in the Opera ‘Leaves’. In august I was celebrating the Danish Chamber Players ( Ensemble Storstrøm) 25th year Anniversary at the idyllic surroundings of Fuglsang with a performance of Per Nørgårds accordion concerto ‘Recall’ (1968). 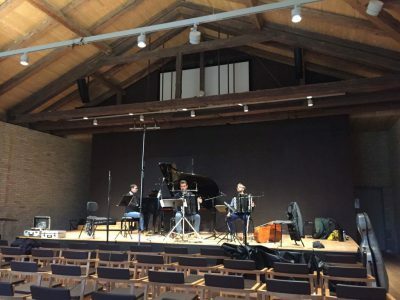 Here I was introduced to the brand new hall KUMUS where I recently had the great pleasure of recording Martin Lohses 5 Momenti Mobile with a couple of great musicians including my colleague Claudio Jacomucci, violinist Christina Strand and cellist Toke Møldrup. Speaking of Scarlatti: Soon I will have a brand new soloalbum coming out…more on this later!